The whole world flew from the hands of an Iraqi man to the hands of a Burmese woman. With the world at her fingertips, she knew it was her turn to speak. One thumb bobbed in the Atlantic while she thought. She quietly said a few broken English words, and her classmates encouraged her. “Good job,” Ala’a, the man from Iraq said in his usual booming voice. Others around the circle nodded, smiled or held up a thumbs-up to show they were in agreement. 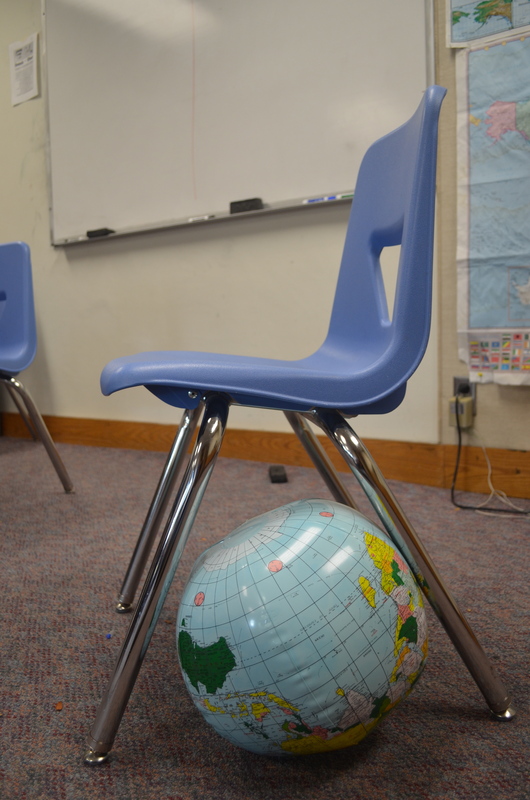 The woman tossed the globe toward the next student, who had to respond with a food or beverage they did not like. And the world kept on moving like that for the last ten minutes of a 90-minute English as a Second Language (ESL) class. 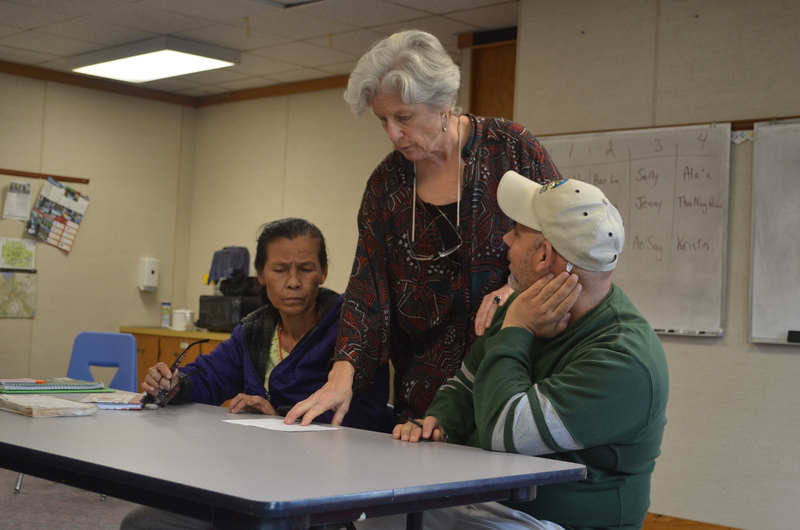 For more than 20 years, the Tompkins-Seneca-Tioga Board of Cooperative Education Service (TST-BOCES) has offered rolling admission adult ESL classes to local refugees, immigrants and foreign-language speakers. They offer seven classes in the morning, four in the afternoon and one at night. The program gives priority to refugees and permanent residents whose livelihood in the U.S. requires some level of English comprehension and communication skills. According to the Department of Homeland Security, New York received 6.3 percent of the 56,384 refugees in 2011. Sally Wessels, coordinator and teacher of ESL at TST-BOCES, has worked with many students throughout her 20 years with the organization. There were over 25 million Limited English Proficient (LEP) individuals living in the U.S. in 2010, according to the Migration Policy Institute. LEPs, also known as English Language Learners (ELLs), are those who do not speak English as their first language and have limited ability to read, write and speak English. In 2000, an executive order mandated that LEPs have access to federally funded English learning programs. Chhandasi Pandya, policy analyst and program coordinator with the Migration Policy Institute’s National Center on Immigrant Integration Policy, helps provide research on LEPs and immigrants to policymakers. In Wessels’ class, being innovative and flexible is vital to student success. She encourages movement and participation in her two-and-a-half-hour afternoon lesson, knowing that many of her students would lose interest in a traditional lecture-style class. After reading a story together, the students sit in a circle and retell what happens in their own words. They roll dice over a homemade board game and practice asking each other questions. They sit face-to-face and discuss their childhood experiences, or race to the “true” and “false” signs on the opposite side of the classroom when Wessels reads them sentences. Liliana* stood in front of the class with her script shaking slightly in her hands. The students had been asked to recite a few lines of a joke with a partner to practice pronunciation and comprehension. Liliana stumbled over her line and began to laugh, shyly covering her mouth with her paper. At 57, Liliana attends English classes between her shifts with a local cleaning company. She first came from Guatemala in 1988, leaving her family in search for a job that could support them. To this day, she continues to send money back to her daughters and grandchildren. “I came because in my country, there’s not work. [I came] to be able to push my daughters forward in their studies. A mother doesn’t leave her children,” she said. Adult ELLs make up 43 percent of the adult education learners, making them the largest group helped by WIA. Aside from funding barriers, Pandya cited access to services for working adults like Liliana as one of the system’s biggest challenges. Liliana’s employer offered to pay for her apartment if she enrolled in English classes. “For me, [the classes] are difficult because it’s hard to understand, but I’m getting there, climbing on to see if I can get some words. The class is really good because the teacher focuses on listening and conversing,” she said. Liliana hurried to keep up with filling in the blanks as they listened to a story about King Midas. She masked her frustration with low giggles, which her classmates take as their cue to help her out. Ala’a used his pencil to point to the ones that were incorrect and helped her fill in the correct word. When students arrive at BOCES, their English level is evaluated with a state-mandated exam. When a student leaves the program, they must take an exit exam to see their improvement. The National Reporting System receives test results and logged contact hours for all adult education programs to make sure requirements are being met. Apart from federal and state funding, TST-BOCES also receives funding from the Greater Ithaca Activities Center and pays reasonable rent at the First Presbyterian Church. With the futures of students dependent on public funding, there’s a lot of pressure to perform. “There’s always a little bit of anxiety about whether we have a good ratio of students and teachers because we have costs, namely paying teachers, and we have revenue coming in based on contact hours with students,” Wessels said. English language learning is not only important to individuals of working age, but also to millions of young students across the nation in ESL programs at their elementary, middle and high schools. 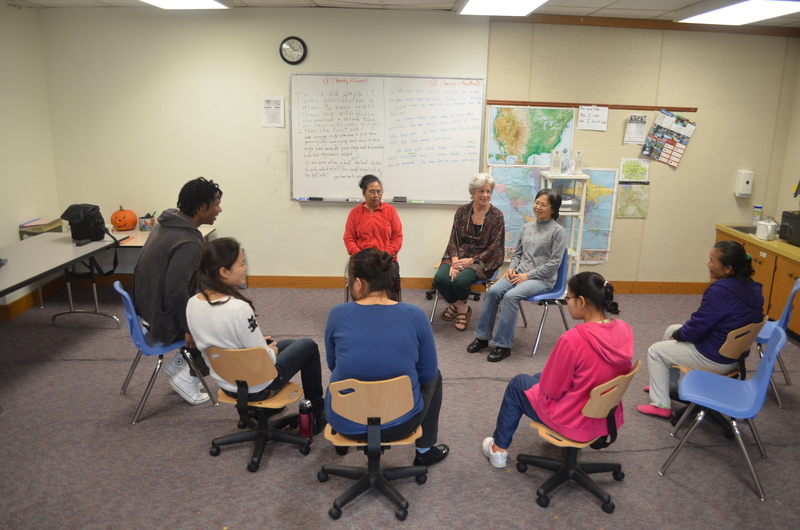 Although funding for youth ESL programs is separate from that of adults, budget constraints also cause challenges. Fengju Zhang, Educational Program Specialist at the Office of English Language Acquisition, knows how important facing these challenges is to education as a whole. Funding for in-school ESL programs is filed under Title 3 of the No Child Left Behind Act. The program provides aid to school districts to help develop programs that teach ELLs. According to the National Center for Education Statistics, 10 percent of students, or 4.7 million, were ELLs in 2010. Aside from funding, Zhang says the programs need to be structured to meet professional standards. “In a lot of places, they are still teaching kids enough English for them to function socially, but the academic language is not focused on. That’s the challenge for the field now. We have to figure out how to do that,” she said. As in-school ESL programs focus on preparing students for future jobs down the road, adult ESL programs must quickly prepare their students for employment so they can begin to support themselves. “They can’t stay in class until they’re fluent, they have to get jobs,” Wessels said. Although Liliana often struggles to learn, she knows it is important. The class gives students a safe place to practice their English skills as well as a way to build a social support system. Between lessons and during breaks, students use their broken English to complain about the results of last night’s soccer game, give advice about how to make a good Kimchi dish and teach each other how to Salsa dance. Although they all have their differences, they are joined together by a simple desire and necessity to communicate. “We understand each other in the English we speak,” she added. *Name has been changed to protect the identity of the interviewee. Note: Interview was conducted in Spanish and later translated. Kristin Leffler is a junior journalism major who is still trying to master English as her first language. Email her at kleffle1[at]ithaca.edu.